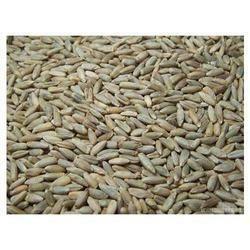 We are highly acclaimed in this industry for providing an optimum quality range of Cook Rye Seed. We offer high quality of Rye Grain. The starchy endosperm constitutes about 80-85% of the weight of the whole kernel, the germ 2-3% and the outer layers about 10-15%. Dietary fiber is located mainly in the outer layers of the kernel, especially in the bran. We are offering a quality assured collection of Fresh Rye to our valued clients. Mega Grain Trading Company Pvt. 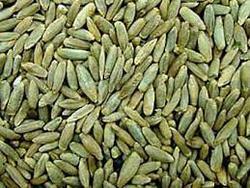 Ltd.
leveraging on vast industry experience, we are engaged in offering our clients Rye Grain Seed. Our seeds are widely apprecited by our clients across the nation for their quality, high nutritional value and longer life. Client can avail these products at affordable prices in the market. Our company produces Rye grain which is used for flour, rye bread, rye beer, some whiskies, some vodkas, and animal fodder. These are grass grown extensively as a grain and forage crop.